In 1956, the clothing brand Van Santen and Van Santen was founded. This brand originated in Argentina by the family of Robert Van Santen. This family made for 1956 several, qualitative handmade products that were related to the sports polo. Van Santen & Van Santen mainly focuses on men who prefer a sporty and well-dressed look. Excellent quality combined with perfect fit and stylish details are the characteristics of Van Santen clothing. The details can be seen in large sporty prints, such as embroidered prints, chic seams and male elbow protection. Van Santen and Van Santen publishes a new collection twice a year. There are also 2 intermediate collections. In short, Santen and Van Santen have an extensive collection of men with an eye for detail. 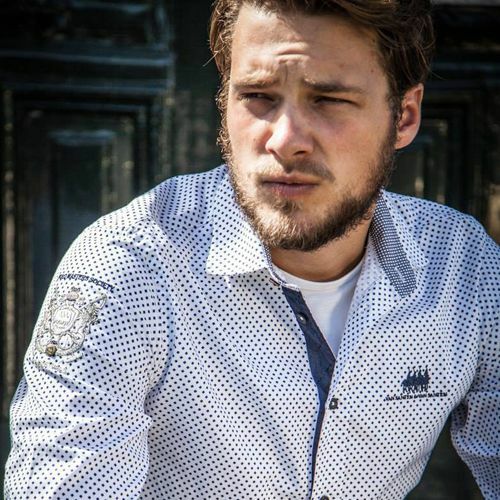 Van Santen and Van Santen are known for the exclusive polo line, but the fashion-conscious man will know this top brand through the perfectly finished high-quality leisure wear. The collection includes: Van Santen & Van Santen - shirts, Van Santen & Van Santen - pullovers and Van Santen & Van Santen - jackets.